UPDATE: Due to declining enrollment and finite Le Cordon Bleu resources, the Pennsylvania campus has ceased taking applications. This entry is for historical reference regarding this important culinary educator. The Pennsylvania Culinary Institute (PCI) was founded in 1986 as a branch of the Sawyer School. PCI is now a member of the Career Education Corporation, which has connected to the worldwide network of prestigious "Le Cordon Bleu" cooking schools. In 1896, the first Le Cordon Bleu cooking demonstration took place in Paris. This French School of Cooking specializes in pastry creation, following the French philosophy of "L'Art de Vivre," which translates to "The Art of Living Well." Le Cordon Bleu is a recognized worldwide leader in gastronomy with schools in Paris, London and Tokyo, and dozens of US cities. Culinary arts and formal cooking education have gained greater attention and popularity due to TV shows like "Iron Chef" and movies such as "Julie and Julia." Students learn from the best chef instructors, who bring an accumulated a wealth of culinary experiences to their teaching kitchens . This vibrant culinary network, Le Cordon Bleu, has provided the Pennsylvania Culinary Institute with master chefs, great techniques and numerous resources for preparing cooking students for employment in the competitive culinary field. Why Choose a Culinary Career? The Department of Labor, Bureau of Labor Statistics estimates that since chefs, cooks and food preparation workers are an important element of the hospitality and restaurant industry, they will experience a continued increase in employment opportunities. The hospitality industry supports a need for great chefs, but the employment outlook has also expanded to include kitchen, and non-kitchen roles for trained professionals. Hotels, casinos and amusement venues employ cooks, food-prep specialists, and chefs. The culinary field offers a dynamic and rewarding career with great potential for mobility. 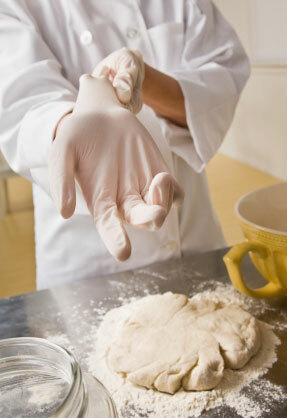 What will you learn at the Pennsylvania Culinary Institute? With its linkage to Le Cordon Bleu schools, the Pennsylvania Culinary Institute has a great network for teaching the well-known French Culinary Arts. French kitchen techniques provide the cold standard for chef, and French cuisine is regarded as some of the world’s most sophisticated. LCB students learn the secrets of the French cooking style, through classroom and kitchen laboratory instruction. Learn how to express your culinary creativity, within accepted standards of practice, for preparing meals that satisfy progressive palates. French culinary refinement, sophistication and artistry is appreciated around the world. The PCI curriculum draws upon centuries of French cooking tradition, to create modern chefs capable of maintaining tradition, while using industry-best technologies. 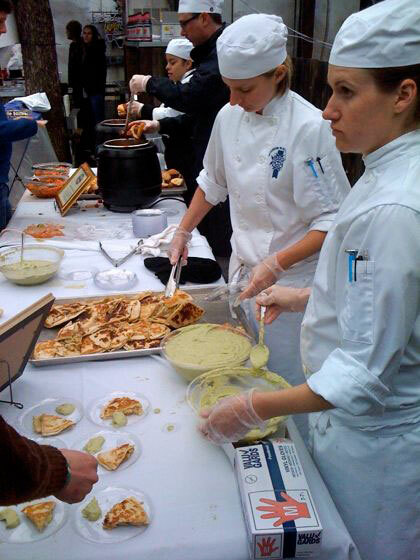 Why choose the Pennsylvania Culinary Institute? Substantial experience stands behind the Le Cordon Bleu courses of study, and the school’s positive industry profile provides a coveted resume entry. Your LCB degree will open doors, and the skills you learn through your LCB education will advance your career. Learn the theoretical concepts of culinary preparation, then apply them in practical, hands-on settings. PCI's working restaurant provides hands-on work experience, for students to test their talents, and advance their unique culinaryu pints of view. Dining room and kitchen management is handled by advanced students, and is preparatory for mid-level hospitality employment upon gradyation. On-campus cooking competitions also challenge students to prove their culinary mettle. The world's most accomplished chefs, mixologists and business management professionals share their professional savvy on topics that range from wine pairing to food-cost analysis. Expertise in preparing great meals is only part of a LCB education. Students learn food chemistry, sanitation, nutrition, kitchen management, purchasing and inventory control. Students gain a foundation of classical French cooking, alongside a thorough understanding of baking and pastry-making methods. Comprehensive exposure to basic culinary skills and managing front (dining room) and back (kitchen) of the house operations. Students learn professional communication skills for culinary and hospitality applications. Instructors teach classical French patisserie techniques, using modern kitchen technology. Topical areas include nutrition, sanitation, purchasing and inventory control and chocolate making. Create dough, cookies, syrups, creams, icings and other desserts is highlighted alongside the Culinary Arts general curriculum. Students learn European techniques for line cooking and pastry production, including the responsibilities of the pastry supervisor. Basic standards for buffet and plate presentation, food identification, sanitation and food composition are also be taught. Advanced students, who have already completed an Associate’s Degree in Culinary Arts, Pastry Arts or Hospitality and Restaurant Management, from an accredited school, are eligible to pursue a Bachelor of Arts in Le Cordon Bleu Culinary Management, through the online program. This option offers great flexibility for learning while working. The program covers a wide range of topics including facilities and event management, financial management, cost control, marketing, research, writing, small business development and organizational psychology. Class sizes are estimated to be around 28 students per instructor. There are about 1,000 students enrolled at the institute. How do I enroll at PCI? The enrollment process is based on an interview and a written formal application. An online application is also available for submission..
Housing is abundant proximate to the campus, with many forms of convenient transportation available. Financial aid is also available. The Pennsylvania Culinary Institute is accredited by the Accrediting Commission of Career Schools and Colleges of Technology and American Culinary Federation.